President Donald Trump, noting that he had long complained that China's currency was undervalued, on Friday predicted that "a level playing field" in terms of trade would be reached between the two countries sooner than many people think. 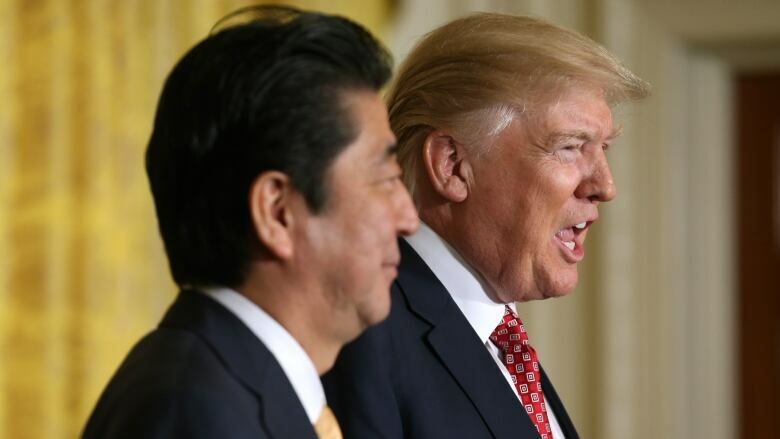 "As far as the currency devaluations, I have been complaining about that for a long time," Trump told reporters at a joint news conference in Washington, D.C., with Japanese Prime Minister Shinzo Abe. "I believe that we will all eventually and probably very much sooner than a lot of people understand or think, we will be all at a level playing field," Trump said. Meanwhile, Abe said he and Trump would discuss trade and economic issues at a working lunch and he was "optimistic" there would be good results from the dialogue. Abe said he was "fully aware" of Trump's decision to withdraw from the Trans-Pacific Partnership multilateral trade accord. But he said Japan and the United States had agreed on a new framework for economic dialogue. "I am quite optimistic that ... good results will be seen from the dialogue," he said, adding that Japan was looking for a fair, common set of rules for trade in the region.